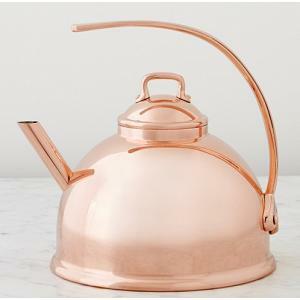 Manufactured following over a century of expertise and "savoir-faire", this stainless steel tea kettle embodies the tradition and professionalism of Mauviel. 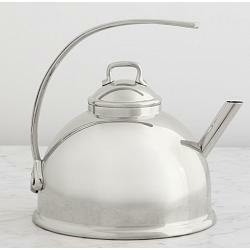 The kettle is simply timeless and can be used on gas, electric, halogen, and induction stove. 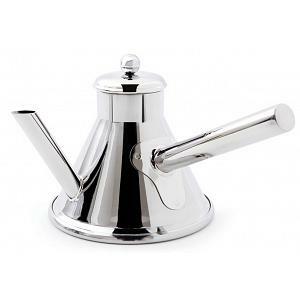 The gorgeous stainless steel kettle has a diameter of 20cm / 8 inches, a capacity of 3 liters / 3.2 quart, and is oven and dishwasher safe.